Gem Archer in 1986 with his Rickenbacker and Marshall half-stack. This photo was provided by the great John Horn. John was a roadie for Gem's old band The Edge around 1986/1987. John informed me he believes that this Rickenbacker was Gem's only guitar at the time. He played a black Stratocaster with the band for a while, but that was stolen backstage at a college gig in Durham. Around 4 minutes into this video, John can be seen playing harmonica with The Edge. Thank you so much to John for this picture! More tales from John to come (if he can remember)! 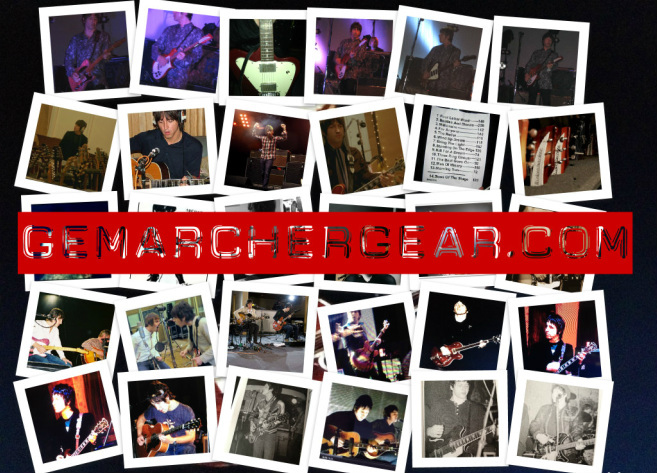 Welcome to gemarchergear.com. Here we celebrate and list every guitar Gem has ever been photographed playing, and in most cases, the song he played it on. Click one of the above links to check out his gear from that era! 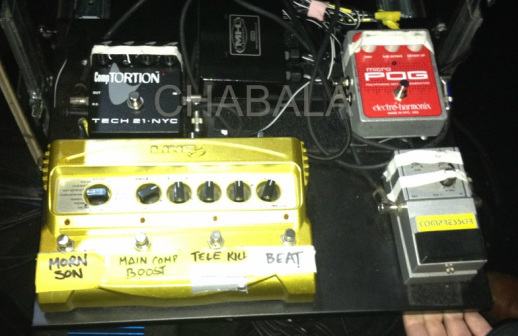 I had the opportunity to go on stage and check out his pedals and every one of his settings. 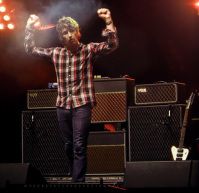 My personal tour through Gem's Beady Eye rig 2011. Getting to touch this Non-Reverse Firebird meant getting to touch what is in my opinion the sweetest sounding instrument ever made. 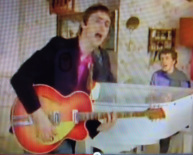 how did Paul Weller's Rickenbacker 360F turn into Gem Archer's guitar shown below? 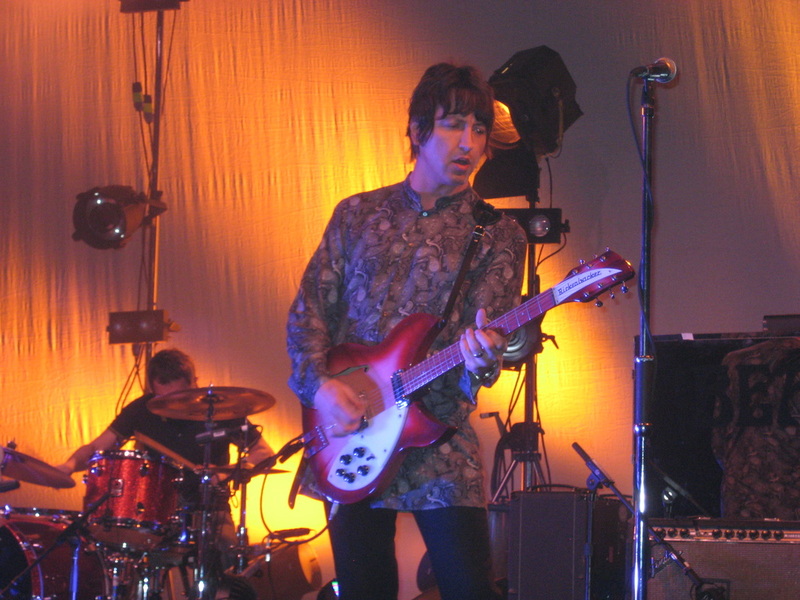 Just like Paul Weller gave Noel Gallagher his white Rickenbacker 330, and gave Steve Cradock his black Rickenbacker 330 featured on The Jam's single sleeves, Weller gave Gem Archer his Rickenbacker 360F following their acoustic tour together. Gem took this prized Rickenbacker to master craftsman Philppe Dubreuille because according to Philippe, "Gem loved the guitar, but he thought the neck was too thin. So I made him a custom guitar that looked and played similar, but with a Les Paul, baseball bat-like neck." As you can see, all the components are the same, but the body and neck are custom made to Gem's liking. When I asked Gem about what Rickenbacker Paul Weller gave him, he replied, "It's an F. I can't remember the number." 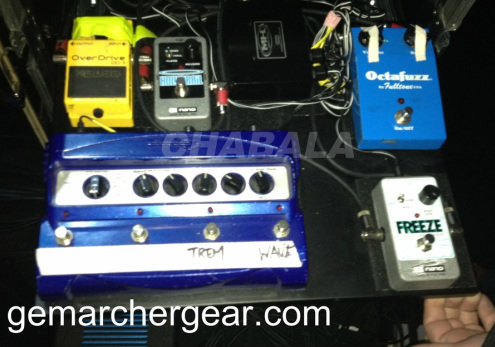 Information like this has been my passion for the last decade, and I now proudly pass along this information to you at GEMARCHERGEAR.COM! Much more to come! 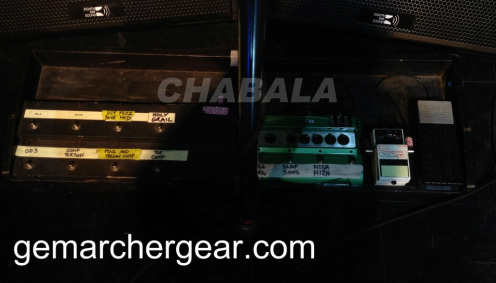 Coming Soon..... all the amps Gem Archer has played live!!!! Plus a list of the basses he has had his hands on! The lists are being complied! All Beady Eye photos were taken by and are property of Anthony Chabala.